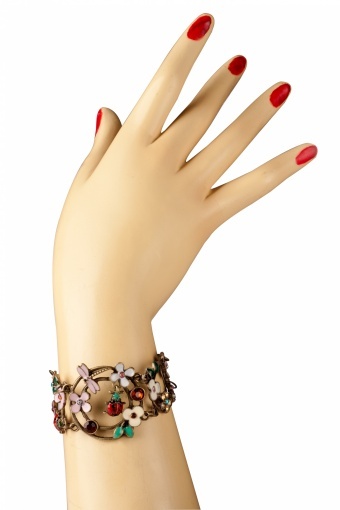 Springtale lovely Flowers & Lady Bug bracelet. 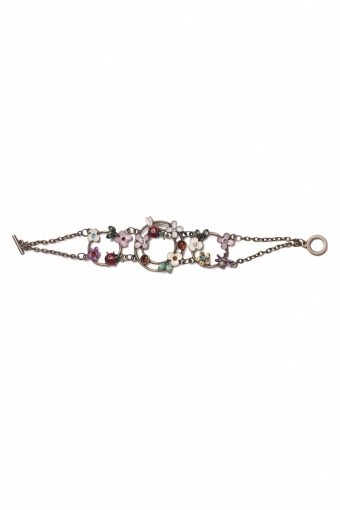 This fairy pretty bracelet works spring magic on your wrist! Gracefully designed circles with leaves, flowers, ladybugs and a bee which are beautifully enameled in fresh colours. 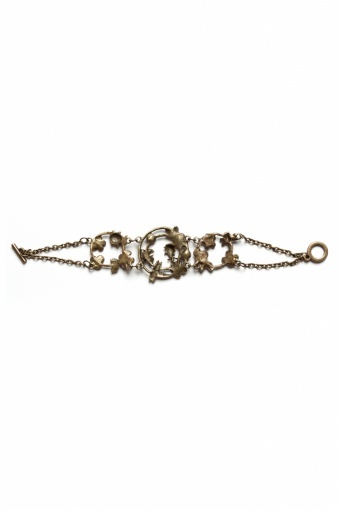 Richly decorated with rhinestones for that luxurious touch.